Editor's Note: Kagan Publishing & Professional Development recently partnered with Vitae Futurekids in Brazil to form Kagan Brasil. Kagan Brasil has launched a training program to bring Kagan professional development and resources to Brazilian educators. 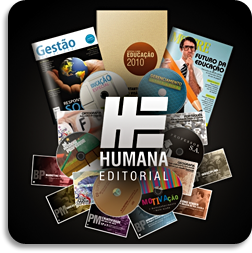 Humana Editorial is a journal in Brazil that offers tips, articles, and interviews for teachers to advance educational practices in Brazil. Dr. Kagan is interviewed by Humana Editorial for his expertise on cooperative learning. 1. What is cooperative learning or "aprendizagem sistêmica" as it is called here in Brazil? Cooperative Learning refers to methods of instruction that involve having students work together in groups. There are many approaches to cooperative learning. What distinguishes the Kagan aprendizagem sistêmica approach is the use of structures. The Kagan Structures are simple instructional strategies that are used to increase engagement, achievement, and social skill development as part of any lesson. Whereas other approaches to cooperative learning emphasize complex lessons that take planning and/or special materials; the Kagan Structures are used without special planning or materials. The teacher delivers the same curriculum as always; they change how they teach, not what they teach, making implementation easy. 2. This method was developed by you and you have your own vision of cooperative learning? I developed Kagan aprendizagem sistêmica based on research I did first as a graduate student and then as a professor at the University of California. The research began in 1968 and has continued ever since. There are now over 1000 research studies supporting the positive results of cooperative learning. Although initially I developed the concept of structures and the first cooperative learning structures, we now have a large team working to perfect the structures. Laurie Kagan, former director of elementary education for the state of Nevada, has had a huge impact in developing structures as well as training trainers. She has been busy training Brazilian trainers who will be teaching teachers throughout Brazil, working with Vitae Futurekids, who will offer the trainings. 3. What are the advantages of cooperative learning in comparison to traditional and orthodox methods? 4. What are teachers doing wrong in the classroom that doesn´t help students build social and emotional skills? In traditional classrooms, teachers have students work alone. They don't have the chance to learn to work well with others and to manage their own emotions while in interaction with others. 5. How many teachers or how many schools apply your methods in the world? We have done work in 20 countries. Some countries have made a very major commitment to using our methods. For example, for over a dozen years we have been training teachers in Singapore and now have trained thousands of teachers there. In the Netherlands, many of our books and resources have been translated into Dutch and a very large training team conducts trainings throughout the Dutch-speaking world. Among the other countries where we have teams of trainers training thousands of teachers are the UK, Australia, Spain, and Denmark. In the United States, we have a large team of full-time trainers who conduct 1000 workshops a year. It is impossible to estimate how many schools apply our methods — the number has become too great! 6. What have been the results of applying this method? Do you have data about it? We have collected a great deal of data supporting the positive results summarized in Question 3. This data can be viewed in the Research and Rationale section of our website. 7. Could you give some tips (examples) about effective ways to use cooperative work? Some of our methods are quite simple. For example, in the traditional classroom a teacher might ask a question, and then call on students one after another to give their answer. In classrooms using our methods, the teacher would ask the same question, but then have students turn to each other to respond. In the same amount of time a teacher could call on and respond to three or four students in the traditional classroom, in classrooms using our methods every student has had an opportunity to respond. The teacher listens as students talk with each other, so the teacher has the opportunity to assess the knowledge of the students, re-teaching or correcting if necessary. 8. Are there differences in applying cooperative work and learning to elementary, middle, high school and university students? The effects are positive at all levels, but yes, there are differences in how the methods most often are used. At the University level, professors often use simple, pair interaction strategies during a lecture. At the elementary, middle, and high school levels, teachers more often use team structures and a greater range of structures. 9. The way the classroom is organized influences learning and the cooperative work? We provide teachers with many management techniques that make a great deal of difference. For example, arranging the room in teams of four is very powerful. Groups of four allow the teacher to sometimes have the students act as a team, and sometimes as two pairs with no one left out. The teacher may sometimes call for students to turn to their shoulder partner, and at other times interact with their face partner. 10. With cooperative work do we run the risk of having some students working and the others taking advantage of it? In Brazil – as you might know – we have a culture where it is very common to take advantage of others. How can we avoid that? We are very careful how we structure the interaction of students within their teams. We make sure each student has a unique contribution to make so the contribution of each student is necessary for the team success. In some of the structures we equalize participation by providing equal turns for contributions, or equal time. Since all students are important, all students feel valued and none can take advantage of others. 11. Don't all students just want to be on the same team as their friends? How do we avoid that? We carefully assign students to teams. Further, when students group within the class, we structure so students work with different classmates at different times. If students are allowed to choose whom to work with, cooperative learning does not work well. The high achievers tend to group with other high achievers. In our classrooms we set up heterogeneous teams so we maximize the opportunity for coaching and learning within the team.